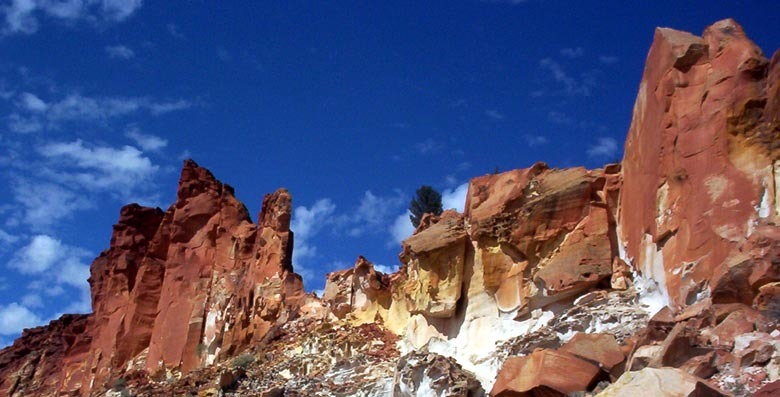 The Rainbow Valley in Northern Territory features sandstone bluffs and cliffs which form part of the James Range, and are photographically attractive in the early morning or towards late afternoon when the rainbow like rock band formations are highlighted. The turn-off to the Rainbow Valley Reserve is about 75 clicks south of Alice Springs along the Stuart Highway. From the turn-off there is a 22 kms of gravel road to the east. There are also some sandy bits, and for this reason, access is recommended by Parks for 4WD vehicles only. Camping is permitted (No Pets) in two designated areas and there are pit toilets, gas barbecues and picnic facilities. There are several marked walking tracks throughout the Rainbow Valley Reserve for views of the claypan and Rainbow Valley itself. 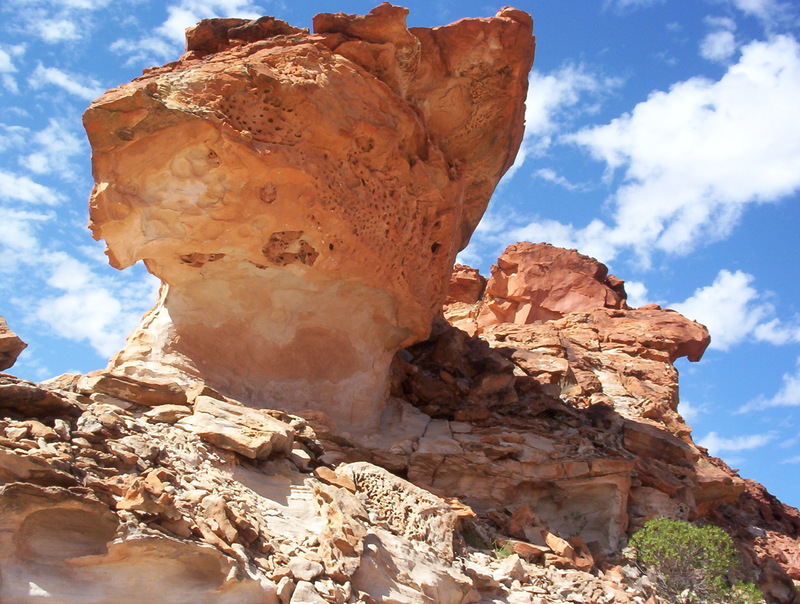 The Park has strong Aboriginal links, and rock engravings or petroglyphs and paintings as well as grinding stones and stone flakes can be found around the hills and ridges. Apparently the area is also of significance to the southern Arrernte Aboriginal people who value the black rocks at the northern base of the main formation. 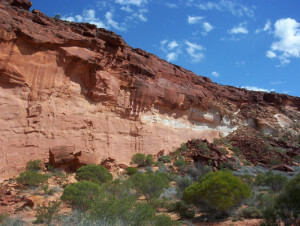 The coloured rock bands in the sandstone cliffs were caused by water. In earlier wetter times, the red iron of the sandstone layers was dissolved and drawn to the surface. The red minerals formed a dark iron surface layer with the leached white layers below. This dark red capping is much harder than other material and weathers slowly, unlike the white sandstone which is softer weathers quickly into a sandy material. 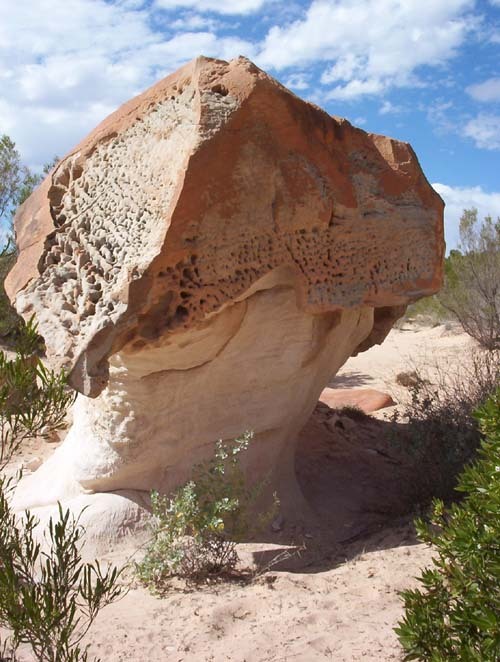 Weathering and erosion are also responsible for the valley shape, where sandstone blocks have been eroded into rock faces and square block towers.